Customer requirements and market demands are constantly changing, which means it can be difficult to keep your online marketing strategy relevant. For this reason, the use of media-focused channels such as podcasts has become vital. A podcast is an informative, accessible, relatively easy to produce, and smart way to get consumers interested in your business. Podcasting is huge, with an ever-growing audience that appreciates the flexibility offered by the medium. Put simply, a podcast is an audio show, often put out on a regular basis as a series of episodes. Podcasts are usually listened to on a computer or mobile device, making them incredibly accessible for users. This is one of the biggest factors driving the popularity of podcasting. Anyone with an internet connection has the ability to listen to them, no matter where they happen to be. For the most part, podcasts are found on music streaming platforms such Spotify and iTunes. However, they can also be hosted or shared on dedicated websites. Just about anyone can create their own podcast; there are even a number of useful tools available that can help you streamline the process. For that reason and more, it’s a channel worth looking into. Although they started as a largely amateur form of media, the power of podcasts has not gone unnoticed by brands and large businesses. More and more companies are deciding to run their own podcasts, and using them as a way to promote their content or educate their listeners on a new skill. When used effectively, podcasts can become strong marketing tools. Perhaps most notably, they offer a very cost-effective method of promotion. A podcast can be quite cheap to produce when compared to other popular forms of media, such as videos. This means you won’t need a specialised team to create one, making budgeting easier for smaller businesses and brands. What’s more, the worldwide audience for podcasts continues to grow, with 26% of Americans now listening to podcasts monthly. This sizeable audience is hard to find elsewhere, and the reach it offers can lead to an increase in conversions. There’s no denying that podcasts make money; in 2017 podcasting ad revenue topped $314 million in the United States. 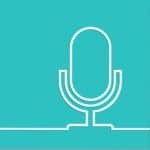 Podcasts are also an excellent way to build a relationship with your visitors – business doesn’t always have to be straight-laced and impersonal. Reminding users that there are real humans behind your brand is a smart way to build their trust. This is important, as people are more likely to frequent businesses that they deem credible. Once you know the potential benefits a podcast can have on your business, it’s likely you’ll want to create your own. Although it’s a relatively straightforward process, there are still a number of things you’ll need to consider. Let’s walk through each of the major steps you’ll want to take. One of the most important things to consider when starting a podcast is what it will actually be about. It’s important to find a clear niche, especially since around 5,000 podcasts are added to iTunes every month (and that’s just a single platform). Start by considering your business’ area of expertise. It’s vital that you have a clear understanding of what you’ll be talking about, particularly if you’re planning to use your podcast to educate your audience. Using a tool like AllTop will help you define key areas of interest for your audience. Of course, it’s also important to ensure that your content is accessible. It’s best to avoid overly-complex topics, and ensure that information is presented in an enjoyable and beginner-friendly way. Above all, what you don’t want to do is transform your podcast into a blatant marketing tool. This will likely turn listeners away. Instead, your podcast should be based around providing quality information; you can then work in mentions of your business and services where relevant. While podcasts are a relatively budget-friendly medium, there are still a number of costs to take into account before you can get started. This mainly involves ensuring that you have the right equipment. You’ll need a reasonably powerful laptop, headphones, and a good microphone in order to produce high-quality podcasts. Quality is vital. As we mentioned earlier, there are a lot of podcasts out there, so you’ll need to ensure that yours stands out. Listeners are also unlikely to stick with a podcast that has recurrent technical issues, and a low-quality product can reflect poorly on your business as a whole. Investing in professional-grade equipment may seem daunting at first, but will be worth it in the long run. You’ll also want to consider the cost of storage. Even though you likely have a website with a hosting service that lets you store files, podcasts can take up a lot of room, so it’s recommended that you use a different host for this purpose. Fortunately, there are many media-specific hosts out there to choose from, such as PodBean and Liquid Web. You’ll also need to pick recording software, and learn how to use it. There are a number of different options available, each offering its own set of benefits and varying levels of support. One of the most commonly-used programs among podcasters is Audacity, which is a free and open-source tool. This kind of software enables you to both record and edit your content within a user-friendly interface. Or, if you like, you can instead opt for a premium solution such as Zencastr or Logic Pro. Whatever you choose, most recording software will offer a great deal of information on how to get started. So with a little practice, you’ll be well on your way to producing professional podcasts. Of course, if you’re feeling daunted by the creation process, the option to hire a dedicated freelancer or team is always there as well. Once you’ve put together a fantastic podcast, it’s time to start sharing it with the world. You’ll need to decide where you’d like your podcast to be available, and how you’re going to promote it to your existing audience. Spotify and iTunes are particularly well-known podcast directories, due in large part to their easy mobile access. Getting your podcast listed on these types of platforms is your best option for building a new audience. Of course, when using any external platform, you’ll have to make sure your content adheres to its guidelines on elements such as cover art, titles, and file types. Finally, you need to find an effective way to market your podcast to your existing audience. Including links to each episode on your website and social media channels is a smart way to do that, and may give your search engine optimization (SEO) a boost as well. The needs of both your audience and chosen market are always changing. With podcasting, however, you are better able to adapt to those needs. Podcasts enable you to grow your audience in a budget-friendly manner while keeping existing users engaged, increasing the potential for higher site traffic and conversion rates. Do you have any further questions about how to create a podcast? Let us know in the comments section below!